Albertsons and Tom Thumb teamed up with the American Heart Association this past Saturday to raise over $7 Million! 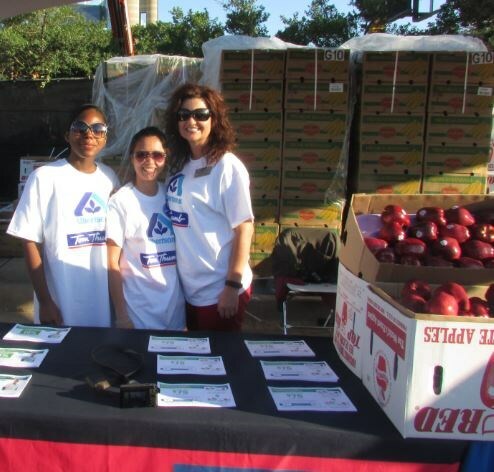 152 of our employees joined 86,000 walkers in Fort Worth, Dallas and Denton. We provided healthy snacks for the walkers and the pharmacy team provided blood pressure checks. 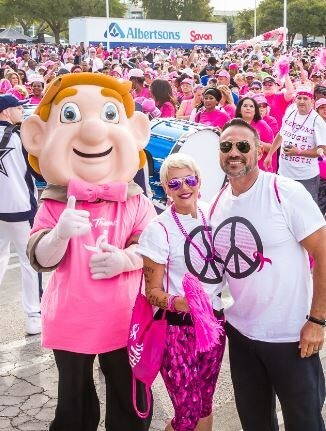 Hundreds of Albertsons and Tom Thumb employees came out to form a giant Human Pink Ribbon to help bring awareness to Breast Cancer at the Dallas Komen Race for the Cure! A big Thank you to our team members who came out bright and early to help support this cause that matters to all of us. “Tom Thumb” was there to cheer on the runners and take pictures with fans and survivors at the Survivors Tent. Tom Thumb was the Presenting Sponsor and Albertsons was the Volunteer Sponsor! A huge presence by our company to show support to our customers, employees, and friends whose lives have been touched by breast cancer.